Loudoun County, VA — On October 15, 2017, the Omega Psi Phi Fraternity Inc., Sigma Mu Mu Chapter,held its annual Dr. Charles R. Drew Blood Drive. 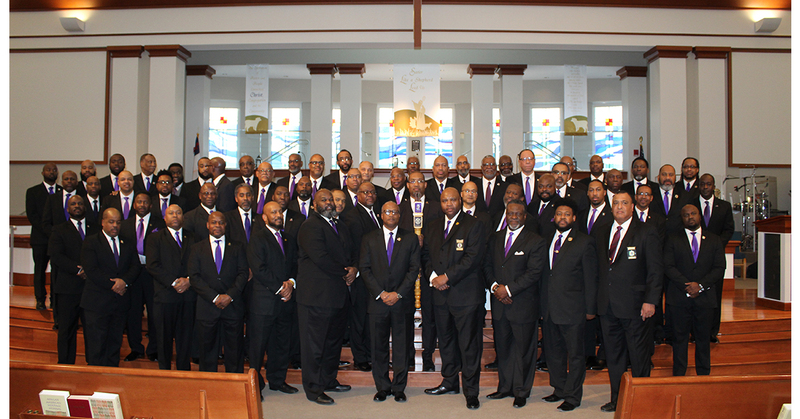 The Brothers partnered with the Inova Blood Donor Services Center of Sterling,Virginia. The initial goal was to have 17 donors give blood. However a total of 26 donors signed up. Almost half of the donors were members of the community who walked in after being encouraged to volunteer by Brothers outside of the building. Inova officials appreciated and recognized the good work of Sigma Mu Mu for bringing in so many donors. This is important because donors are needed now more than ever. The demand for blood is increasing while blood donation levels are decreasing. Loudoun County, VA — The Omega Psi Phi Fraternity, Inc., Sigma Mu Mu Chapter, is doing its part to ensure that children in need have school supplies. On August 5, 2017, Sigma Mu Mu held its 4th Annual Back-2-School Supply Drive at the Wal-Mart Supercenter in Sterling, Virginia. Patrons purchased several items in Wal-Mart, including notebooks, pens, pencils and folders. The support and generosity of the local community enabled Sigma Mu Mu to collect over 500 pounds of various items, including 27 backpacks. In addition to school supplies, cash donations were given and were used to buy more supplies. This service project was the result of a partnership between Sigma Mu Mu and Help for Other Inc., a 501(c)(3) charitable institution, to collect basic school supplies for Loudoun County elementary and middle schools. The donated supplies were delivered to Ms. Gloria Mpofu, the coordinator of the organization. She was very appreciative of the effort, energy and enthusiasm of the brothers. Sigma Mu Mu’s participation in such a worthy cause highlights its commitment to serving the Loudoun County community. The Back-2-School Drive helped level the “academic” playing field so that the children can focus on academic success, and be better prepared for learning. Bro. Reggie Parker, Bro. Wesley McCaskill and Bro. Jerome Smith with school supplies (left to right). Bro. Parker and Bro. McCaskill unloading donated supplies to give to Help for Others (left to right).